Vermouth is an aromatized and fortified wine; it’s spiked with brandy, sweetened and infused with spices and herbs. 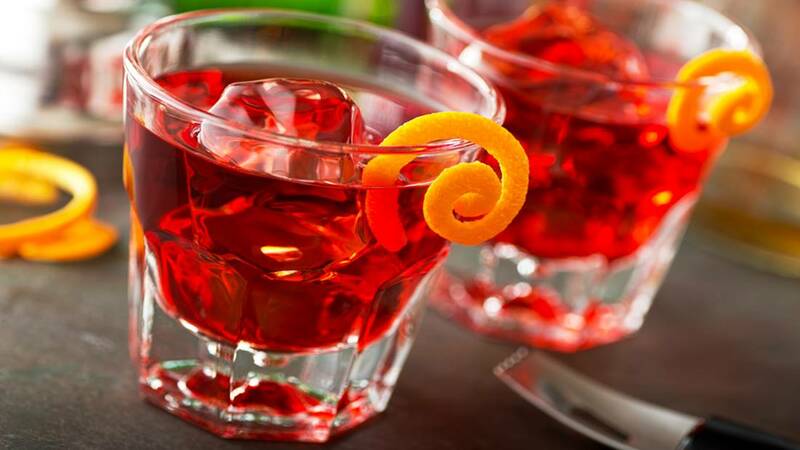 There are two primary variants – red (sweet) vermouth, that’s originally from Italy, & white (dry) vermouth, that first made an appearance in France; dry vermouth’s hallmark ingredient is Wormwood. This Italian vermouth is a great example of the new generation of Italian wine producers reimagining vermouth flavours as well as the packaging of their drinks. This dry vermouth has savoury, oaky and subtle herbal aromas that are delicious to say the least. This antique Italian vermouth was developed in 1786 in Turin and is officially recognised as the very first commercial vermouth. It has a very spicy, extremely intricate smell and flavours that are medicinal, savoury and herbal on the tongue. This is probably New Zealand’s first new-wave Vermouth. This wine is made from Riesling and chenin blanc and is infused with thyme, elderflower and wormwood; it has a very floral, delicate and lovely style. This is a delicious, tangy and dark Spanish wine that’s the perfect pre-dinner drink. The ACT produced wine is an amazingly satisfying and complex drink that evokes the old world charm of vermouth and many other wines that have herbal infusions; it’s a rick, bitter and dark wine that’s a pleasure to drink. The La Tonique Quinquina produced in Victoria is an unfiltered dry vermouth that’s infused with cinchona bark; it is slightly cloudy and sensational and has a citrusy, unfiltered flavour. This pretty and gently sweet wine is produced in Victoria; it has an infusion of juniper, star anise and orange rind and is delicious when served chilled over ice. The French wine is one of the oldest vermouth labels in France. It has very mature and spicy aromas and a tawny colour with a very distinctive and noticeable savoury flavour. This is an aromatised wine produced in Italy, and has gentian and cinchona bark flavours. Its works very well as a post-prandial digestif. Intensely sweet with flavours of green tea and hints of lychee and orange rind, this South Australian wine is delicious when served as an aperitif. As you can see, there are a number of vermouths and these are some of the best. You can store your Vermouths in your custom cellar to make sure they don’t go bad. A temperature-controlled wine cellar is a great option for storing wines and you can get this feature designed and installed from experts. They will take into account the setting, the available space, your specific requirements, the type of racks and materials you want, whether you need any seating there, the type of doors and more while designing your custom wine cellar. For information about custom wine cellar design and installation, you can call Signature Cellars on 02 9340 7515 or use this contact form to get in touch with us. We’ll be pleased to assist you and provide custom solutions that match your requirements.